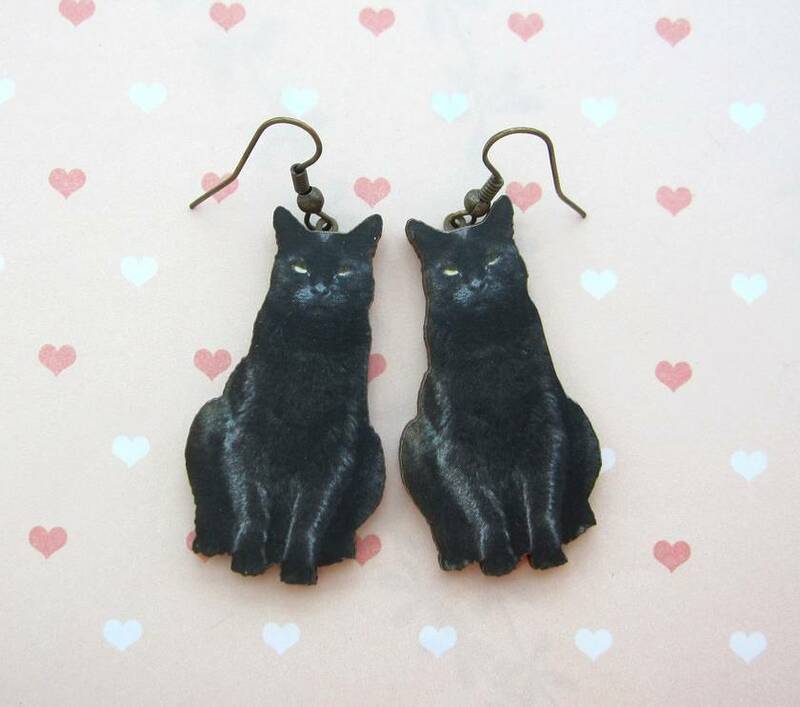 The earrings are made from woodcuts with images of happy black cats. 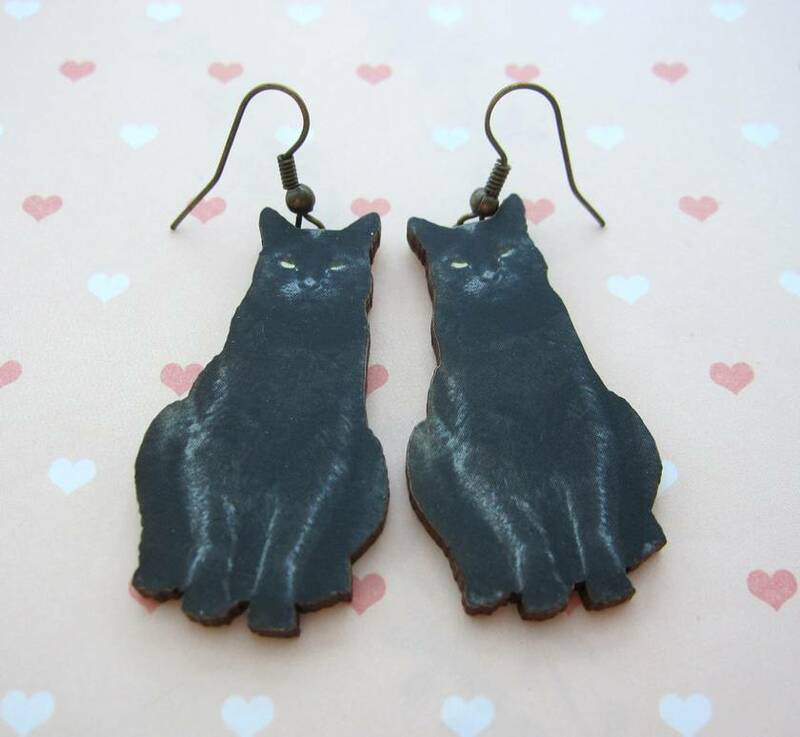 They are made by applying the paper image to wood board and cutting with a laser cutting machine, the cats are then varnished to finish. Reverse is left a natural wood colour, and brass circle attachments glued on for the hooks. The cats are a little under 4.5 cm in height.